Go back to the past with Payne in this new expansion. Max Payne’s past just never seems to stop haunting him. Rockstar has recently announced that the Painful Memories DLC for Max Payne 3 is now available for Xbox 360 (800 Microsoft Points), PS3 and PC (£7.29). It includes 4 new multi-player maps, new weapons and new factions for those still chasing ghosts in blood-stained locales. 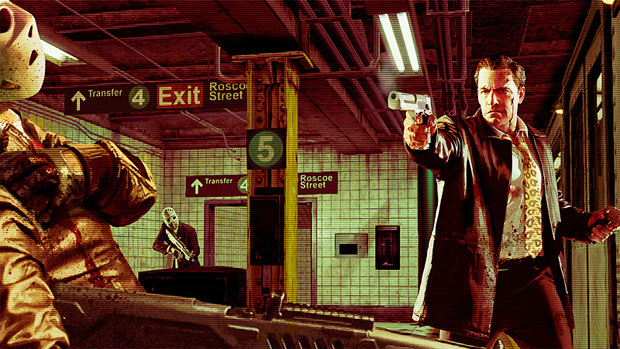 Canal de Panama, Marty’s Bar, Roscoe Street Subway & Shoot First are the four new maps, which hark back to Max’s past, with the subway being seen in the original Max Payne. The two new maps from the Panama chapter also allow for new Gang Wars scenarios. Of course, there are also two new factions, De Marcos Abroad and United Souls of the People, along with new weapons such as the UAR-21 assault rifle, IMB 5.56 assault rifle, and new items such as the Calculator adding more kills as you assist allies; the Betting Slip, that increases your money count as team-mates log kills; and the Hip Flask which protects you from a single sniper bullet when you respond and counter-acts the effects of Hangover Burst.